I was going to save this one for Valentine's Day itself, but then I realized I wanted to send you all a valentine myself next Saturday. So next week instead of Digital Saturday, I'll be making a card for you. This layout truly makes me happy. 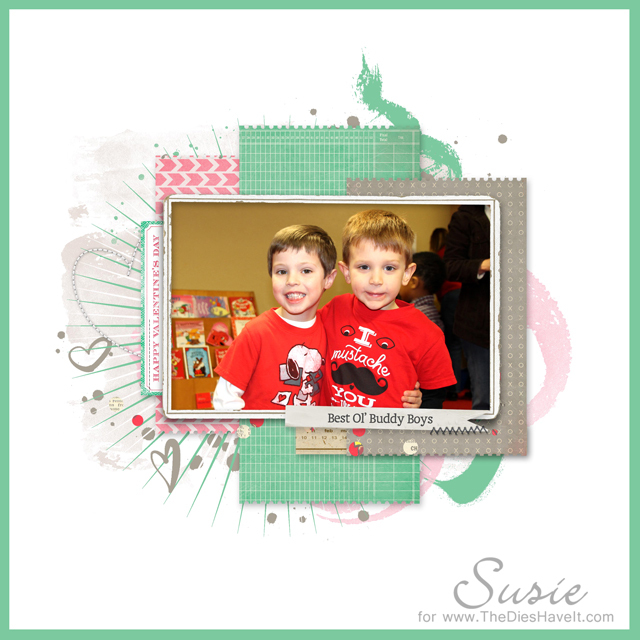 Caleb and Luke are "best ol' buddy boys" - a self appointed title that we all just adore. They went to preschool together, they are in the same school now and they go to church together too. I hope they will always be friends!